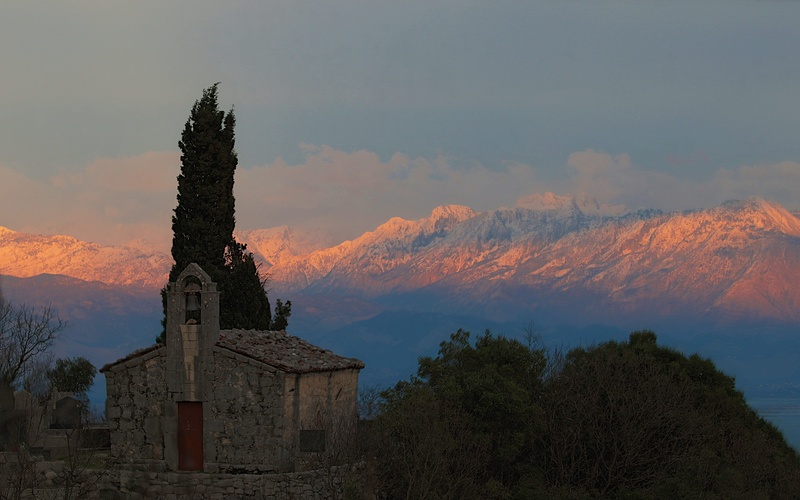 This little stone church sits high above the town of Virpazar, remote and quiet, with one of the best views of Lake Skadar. The place is always picturesque and this was the sunset on 6th March when winter was still hanging on hard in the mountains to the north. Crkva Sv. Petke or Church of St. Peter above Virpazar. There is a cascade of small fields down a gentle slope nearby where two cows now graze and an observation point with a short circular walk round what looks like an old fortification. 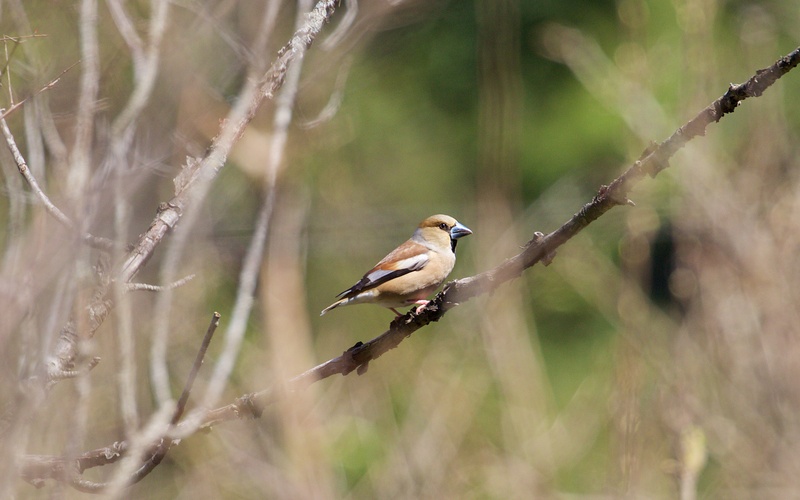 I have walked here a few times to watch the Spring unfold and in the forlorn hope of getting close to a pair of hawfinches (Coccothraustes coccothraustes) that are always present but remain just a call, usually from the ground or a distant tree, and flash of white wing bar. This was taken when I flushed one from a streamside the other side of Godinje; they are common around all the villages and farmland south of Lake Skadar. Whilst the blackcaps (Sylvia atricapilla) refuse to sing except for rare outbursts and carry on ‘tack tacking’ to each other, the subalpine warblers (Sylvia cantillans) have started to live up to their Latin name and are singing, well melodically scratching, everywhere on the hillsides and have been doing so since the beginning of April; they are bold and obliging and often hop up the trees to sing. Trying to capture them in a Prunus tree filled with blossom is the art. 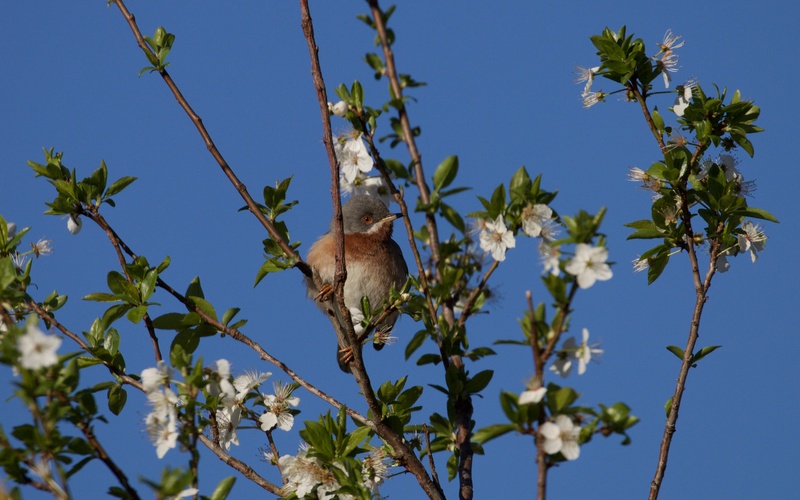 Subalpine warbler in apple blossom. 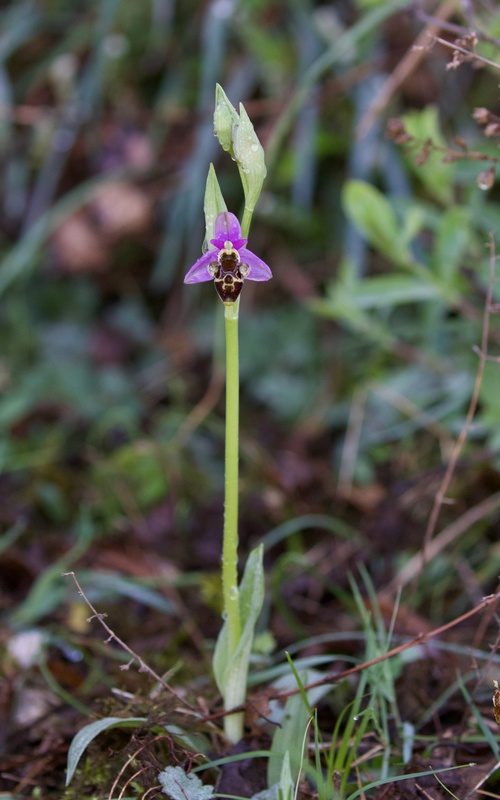 Having seen early spider orchids (Ophrys sphegodes) since early March I have been hoping that other Ophrys species might now appear and this beautiful woodcock orchid (Ophrys scolopax) obliged on 2nd April. 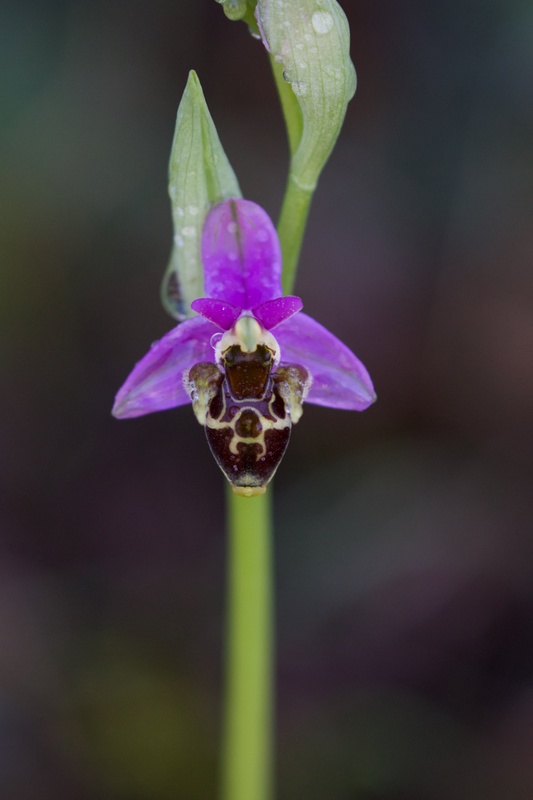 It has stunning shape and colour and elegant symmetry. 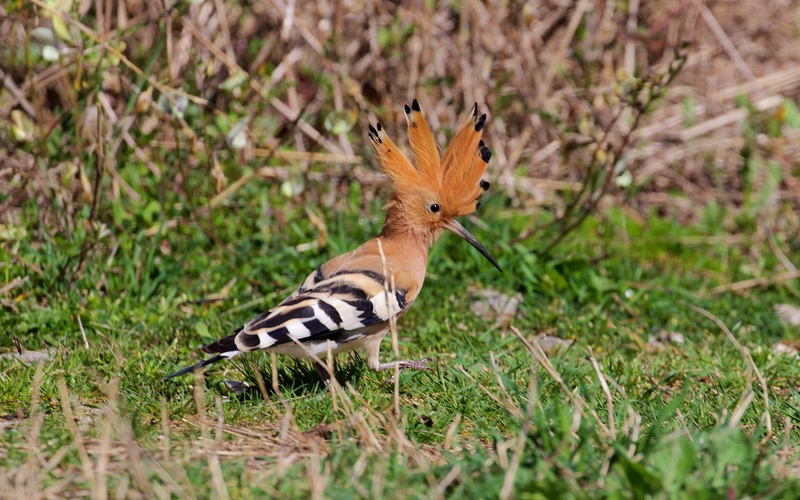 Hoopoes (Upupa epops) have been everywhere since the very end of March and often flush from the road sides and are unmistakable on the ground and in flight. 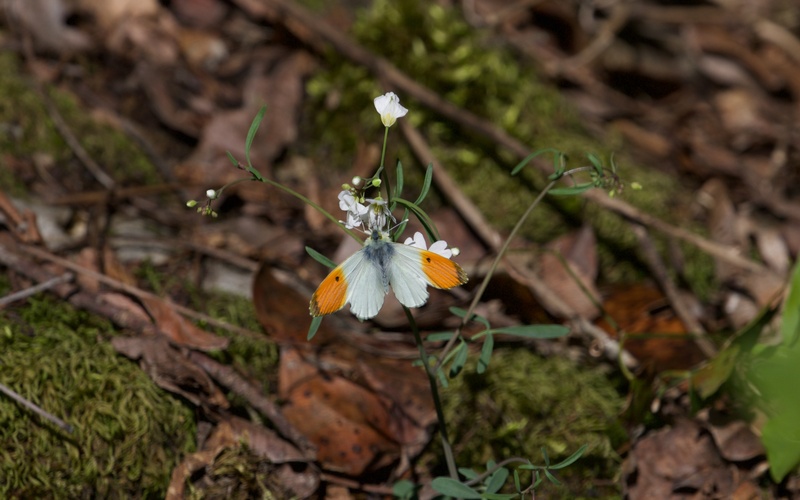 Equally flashy, orange tips (Anthocharis cardamines) have been on the wing since April 2nd and this was the first obliging one. I love the header shot on this blog. Such a gorgeous tubby warbler and the blossom just pops against that sky. Fabulous.